As nocturnal creatures, rats are a mysterious animal. Rats live in packs and create dwellings in places that can often pose a hazard to a home. 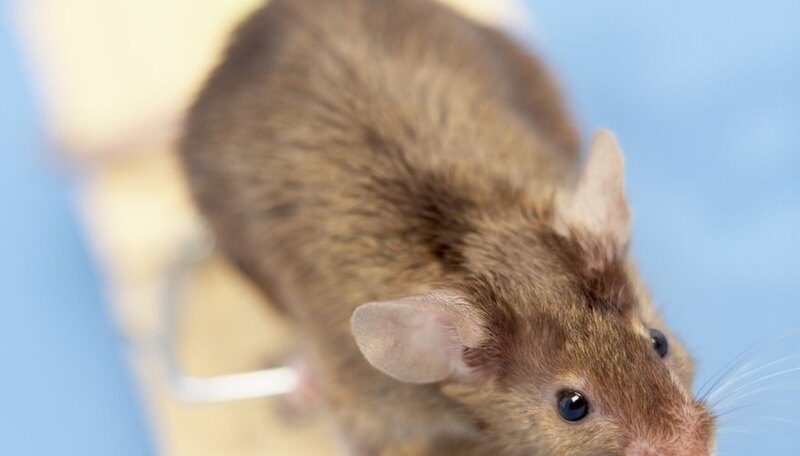 As rats like to chew cables and burrow into food supplies, they pose a threat. When building a nest, rats create a specific area, clean of dust and spider webs, where they spend most of the day sleeping and storing food. Norway rats, or Rattus norvegicus, are the most common. With brown fur, short tails, small ears and small eyes, the Norway rats build nests underground and beneath buildings or large piles of wood or trash. 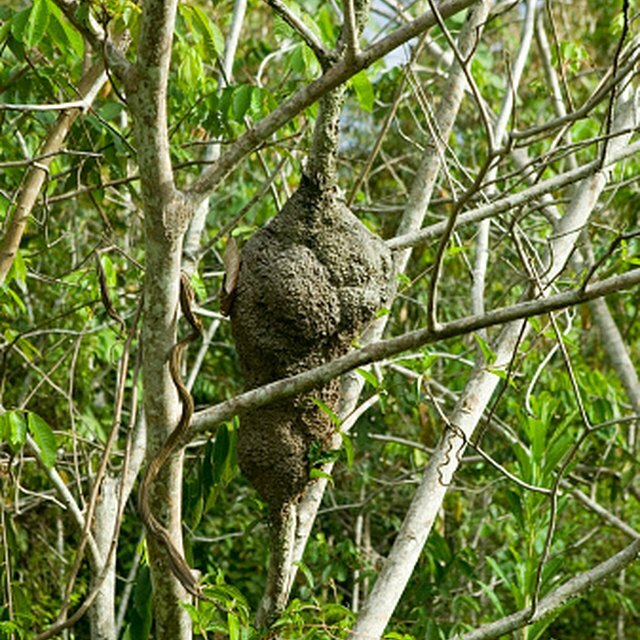 You normally find these nests at the foundation of a building or by a stream or river. If you have a large pile of objects, such as cans, trash or wood, these objects create a cover for the nest. The other most common species is known as the roof rat, or Rattus rattus. These rats vary from Norway rats due to black fur, long tails, pointed nose, large eyes and ears. Roof rats climb up to the top of buildings and build nests inside holes or attics. Trees and wall spaces are other areas frequently overtaken by roof rats. Many other rats build nests in open fields or woods. These species are much smaller and common to Eurasian countries. These rats do not pose a threat to homes and build nests underground in burrows, such as at the bottom of trees or near rivers. These nests commonly use fur and straw. Rats like to make nests from any soft material, such as hair, cloth, straw and paper. To build the nest, rats line a large area with these soft materials. They create different areas for the nest, including a storage area for food and a runway trail. The runway is a clear path from the nest to a food source, free of cobwebs and marked by odors of the rats. Adams, C.K.. "How Do Rats Make Nests?" Sciencing, https://sciencing.com/do-rats-make-nests-8787083.html. 24 April 2017.